A tightly coiled web of emotions, all repressed and conflicting in ways that are difficult to fully express through film. The first half is understandably a bit uncertain with itself, given its job of establishing context while simultaneously having its characters reorient themselves around an extensive history. However, the film slowly moves into focus as the central characters reignite their passions, culminating in a love scene that is passionate and raw and beautifully filmed. McAdams and Weisz are both incredible throughout, perfectly calibrating what they do and don’t hold back without any sense of artificiality. It is perhaps through Nivola’s character that Lelio makes his most interesting choice: instead of this character serving as an impediment to love or a vilification of deeply rooted faith, he is just as conflicted as the two women. And it is through this trio that the film questions what it means to lose, to choose, and to have the ability to really, truly feel. 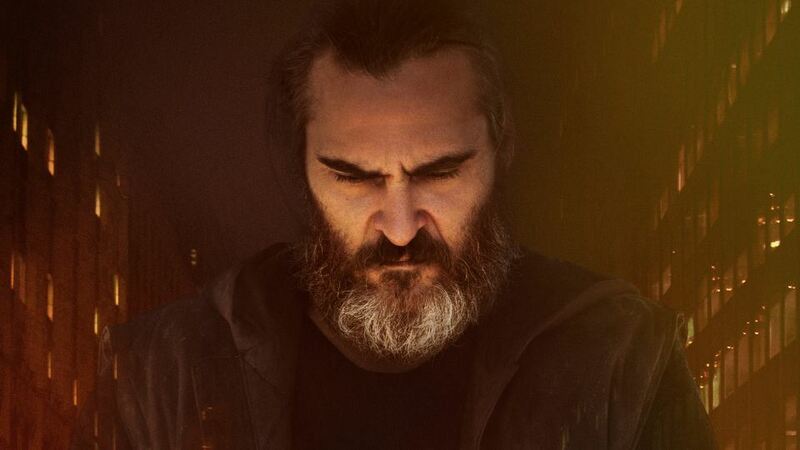 Visually and sonically mesmerizing—Greenwood’s done it again—with a pained and physical lead performance by the always fantastic Joaquin Phoenix. However, it’s also a frustrating experience in many regards because it seems to use PTSD as a stylistic crutch of sorts instead of as a meaningful foundation to the story. I don’t doubt that Lynne Ramsay’s intentions are genuine, but getting us into the headspace of a character and his trauma is not necessarily the same thing as developing that character and his trauma. You can craft disorientation and rely on fragmentation all you want, but that approach tends to keep everything at a stagnant, surface level distance. This film manages to suffer from being too heavy-handed and too obtuse at the same time, and what results is a portrait of a character that feels unfinished. Additionally, the supporting characters feel less like characters and more like puzzle pieces without any place to fit, and anything meaningful the film has to say about violence, corruption, or trauma is diluted by Ramsay’s insistence on transcending genre conventions.